Looking forward to building an engaging real estate website for buyers and sellers? Wondering how to get started with? What features and tools do they need to make the most of the website? Root Info Solutions finds the answer for you. Sellers want their properties to look at their best across all devices with varying resolutions. To stay up to the expectation, provide them with a powerful yet easy-to-use content management system. 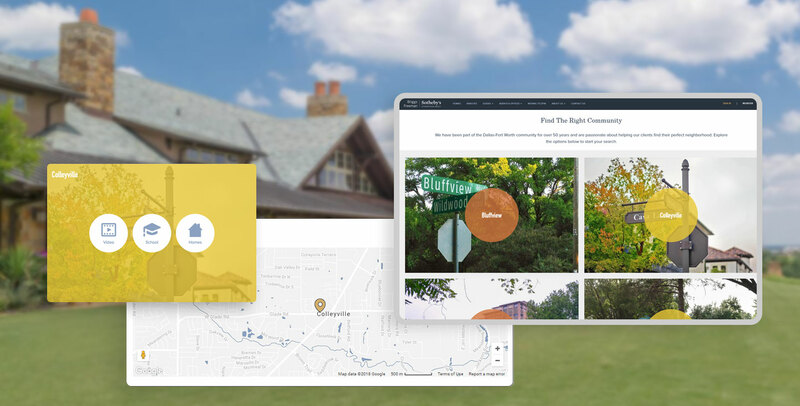 Let them post property images, descriptions, and additional information like location (With Google Maps), amenities, etc., effortlessly. Let sellers have an edge on the market competition with access to the basic and advanced search engine optimization tools and features. Leveraging SEO elements, not just give them a better position on your website but also on the search results of Google or any other search engines. Social media is one of the most powerful tools and so make them work for your business. Integrating your key social channels like Facebook, Twitter, Pinterest, etc., you can get relevant traffic to your website. Most of the popular website development frameworks like WordPress and Drupal have APIs that can help your real estate website developers to sync social channels easily. Doing so, you provide one more tool to help your audience share listings, blog posts and other content that they like. So, it will augment your web presence overall. Many of you might be new to fluid website design. However, it’s entirely possible that you heard about responsive website design. Coincidentally, both of the concepts have evolved to make users feel at home across different devices. Their role is to neutralize the disparity of the device screens and sizes. However, a striking difference exists between the two. The design and content of a responsive website are managed across different screen sizes with media queries. And, responsive websites do have break-points and set containers depending on the target device. Contrastingly, fluid websites do not have break-points or set containers. Hence, the user experience is not affected much by the disparity of devices with a fluid-website. Highlight the search tool on your website and consider placing it on every page of your website because you don’t know about the dream home or property which would interest the buyer. Thus, enable users to search for the property efficiently and drive the engagement. The better engagement translates into quality lead generation. Buyer’s guide is a significant feature that you must consider roping in. Provide step-by-step guidance to the buyers without any ambiguity and help them finalize the deals. Let users, both buyers and sellers, be well informed about the real estate market trends based so that he or she can take an informed decision about purchasing or selling out properties. Make them filter the results by locality/zipcode, date, and so on as this real estate website designed and developed by us holds. The National Association of Realtors claims 90 percent of real estate firms have websites, and the most common feature on their websites is property listings. What makes them create the listing? Here comes the role of MLS database. With this, sellers can reach out to a wide range of audiences, including brokers and direct-customers and, hence can derive the best value from their investment. Buyers have more options to choose from. Therefore, MLS integration creates a win-win strategy for both of your audience types. What is MLS? Read one of our previous blogs. Thus, with more and more consumers resorting to digital property search and purchase, it has become essential for realtors or brokers to invest in user-friendly and engaging real estate website. What we have discussed is just a tip of the iceberg. In reality, user-friendly is a concept that knows no bounds and, hence, no real estate website development company or website owners can claim to have conquered it thoroughly. All they can do is to make an effort to inch closer to it because they hold no control on the benchmark, it’s entirely guided by what users want.